At Imiana House, we believe falling in love with skin and hair in natural way. All our products are made from botanical natural oils and extremely moisturizing butters. At Imiana House we use only 100% pure essential oils which are rejuvenating, relaxing, soothing and therapeutic in true sense. 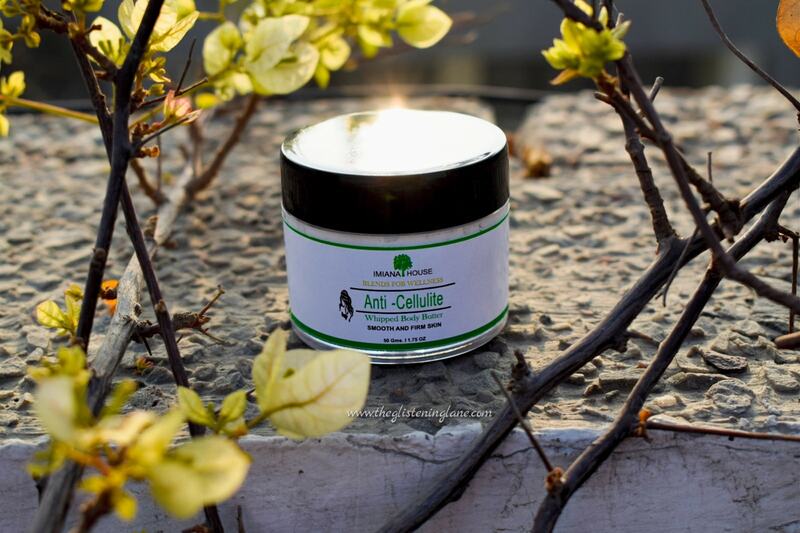 All the products are Handmade, Cruelty Free, High Quality and they also personalize the products. Imiana House is an organic cosy nest from Imran and Anamika, the co-founders, husband-wife Duo who simply loves what they do. The idea of going all organic and natural clicked when their little bundle of joy arrived in their life. Visit HERE for ordering your handmade products from Imiana House. Simply scoop, dab and rub, whenever you need. Shelf Life: 24 months after opening. Store in a cool dry place, can be refrigerated. Disclaimer: Some people may be allergic even to natural ingredients. Please do a patch test first. Both the body butters came within a plastic jar which opens with rotational movement. All the details have been printed over the jar itself and you can scoop out the desired amount of body butter using your fingers. It doesn’t come with a spatula but since only little is required, I’m pretty much fine with it. If you’ve been a part of my blogging journey, you’d know how my facial and body skin contradict themselves, based on skin type. 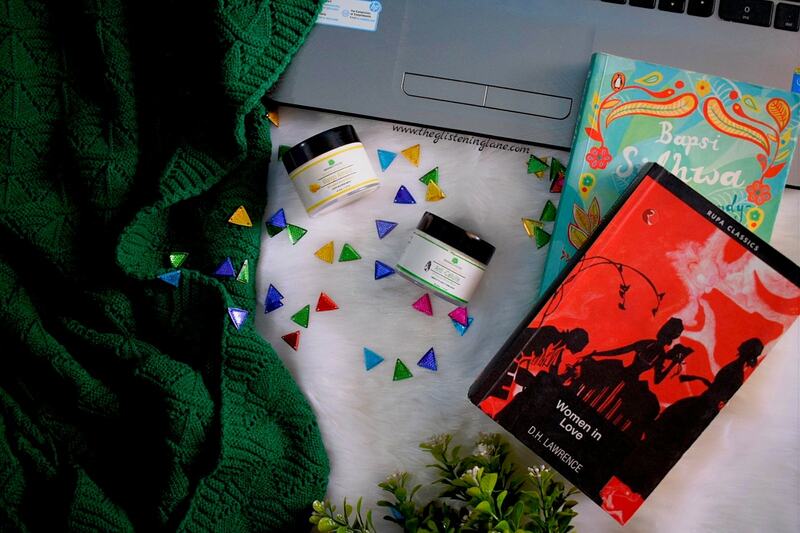 Recently, I managed to discover some good lotions and the list includes St. Dvence (Click to know more!) and the body butters that I’m reviewing today. 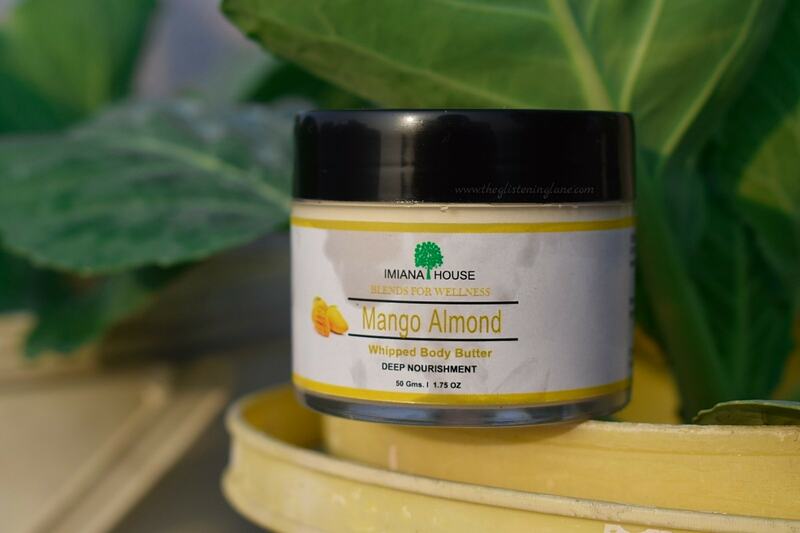 So, one of my fellow bloggers did tell me as to how much she likes the other variant of Imiana House body butters. But I got these in different variants. Now to begin with, I need to tell you that while both these body butters work miraculously well, they both have different textures, fragrances and formulation. I am inclined towards one of them more, simply because of the texture which I prefer. If you want to know more about these, keep reading. Mango Almond Whipped Body Butter has to be my favourite as the texture of it is slightly fluffy owing to the whipping procedure. The fragrance is quite mild and has notes of citrus into it, due to the presence of sweet orange essential oil. 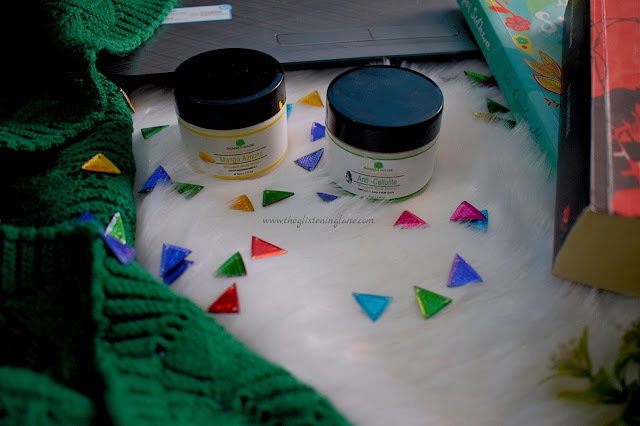 It is easy to take out from jar and for both these body butters, little goes a long way! 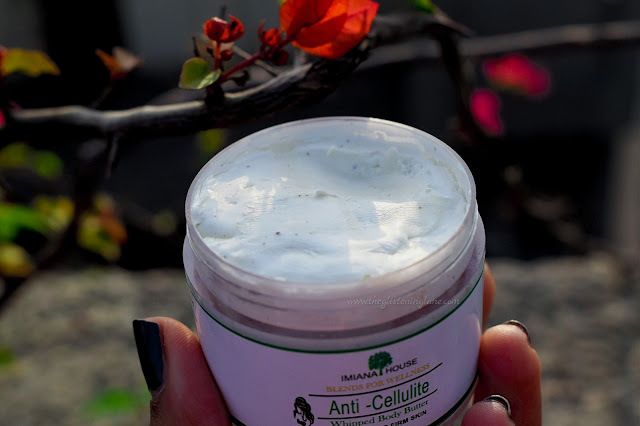 On the other hand, Anti Cellulite Whipped Body Butter has a denser formulation as compared to the mango almond variant. The fragrance of this one is more onto the herbal side. 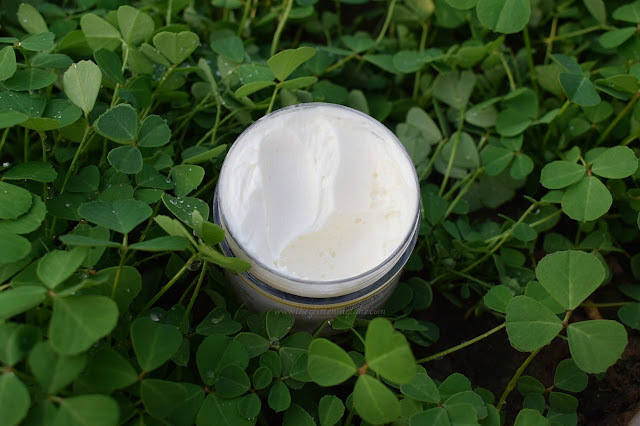 For taking out the product, you need to use the warmth of your fingers, move it onto the body butter and apply it wherever the need arises. When I got this one, it was quite cold and it took me a while to understand how I can scoop out the content from this one. On applying this one, I feel some miniscule grains which evade as quickly as they arrived. I’ve loved both of these so much that one of it is literally a glory of my office drawer! But then if I like anything, I make sure I’m not using it too much that it leaves my life early. 😆😆 *Overloaded Drama* When I take it out and apply these dollops on my hand, it feels as if I’m applying a lotion. 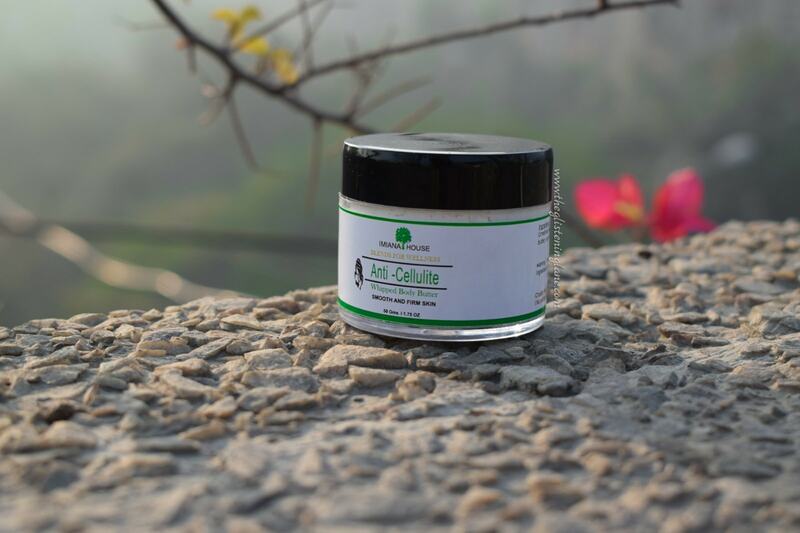 But as soon as I start to massage it, within no minute it melts and seeps well into the skin, leaving a soft and hydrated skin. 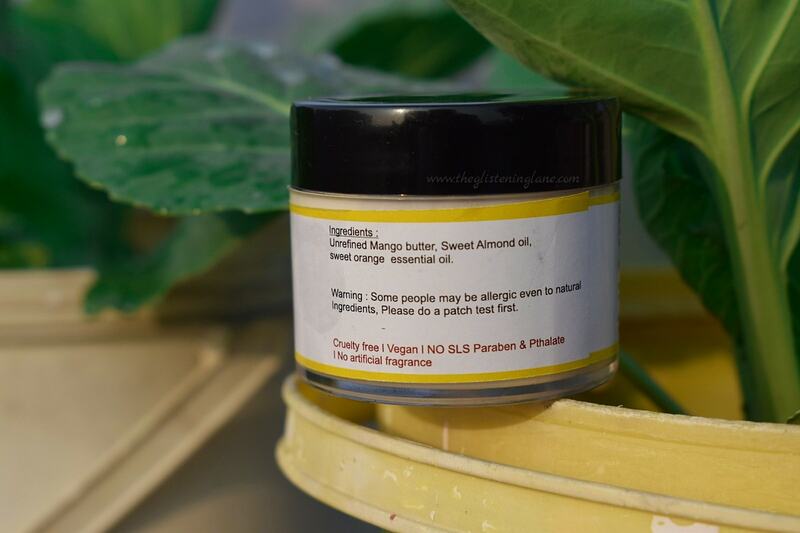 I genuinely love these body butters and all the ingredients incorporated are completely natural as well as safe. The only reason which might hold me back from re-purchasing these is the price-factor. Otherwise, it’s a must try product!